Construction Engineering services are a natural outgrowth of project design engineering. 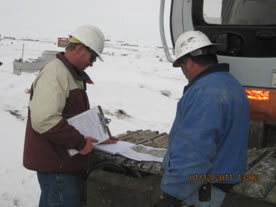 Nelson Engineering has 45-year history of successfully overseeing successful project completion. Our project managers and field personnel represent Owner’s interests to ensure projects are competed on time, on budget, and at a high level of quality. Our testing lab and testing technicians provide quality assurance. For more information please contact Phil Gyr.